Web Data Shark! 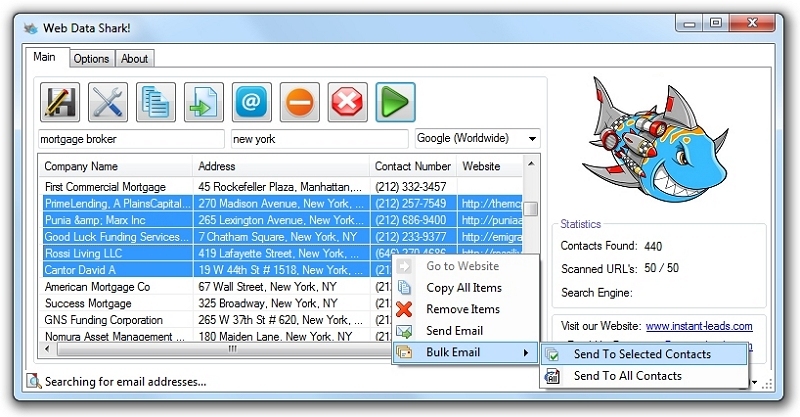 instantly extracts contacts & emails from search engines and directories. Harvest thousands of niche targeted leads in any vertical . Get laser targeted leads for any industry - totally free! It even has a built-in bulk emailer.